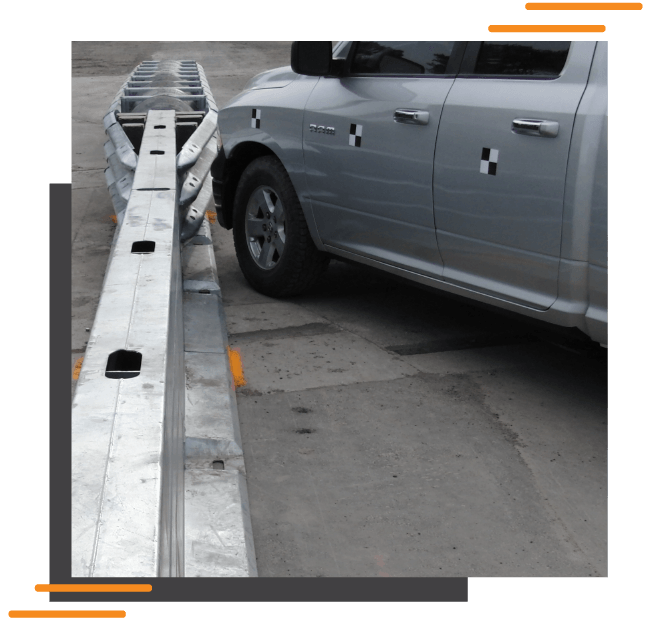 Our Anchored Defender Barrier can be installed as a continuous unbroken run, acting as a barrier and crash cushion, protecting motorists as well as workers. Anchored Defender Barrier is the core Defender Barrier system engineered, designed and tested to offer the highest level of site safety by complying with the latest MASH 16 test standards. 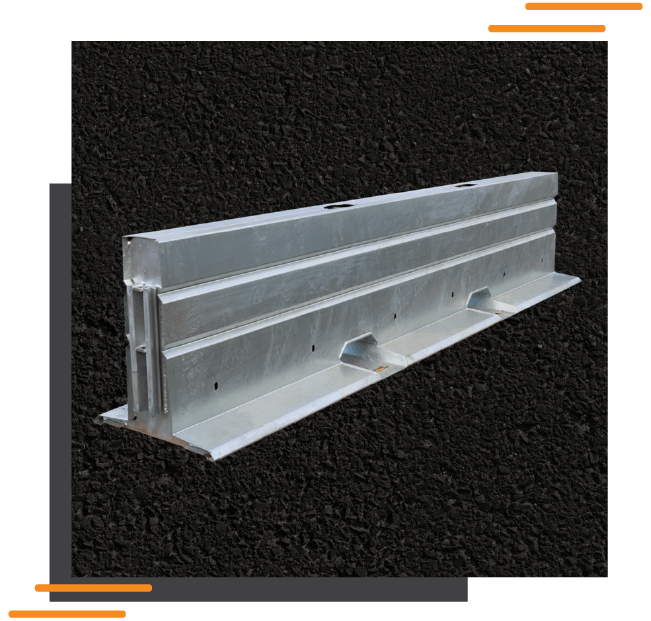 Anchored Defender Barrier is the first full system available that has been tested with a crash cushion ensuring that the system meets the MASH 16 standard from Approach to departure. Anchored Defender Barrier is tested to MASH 16 TL3 and TL-4 making it suitable for deployment in high speed work zones to 100 kph. MASH 16 testing requires impacts from vehicles substantially heavier than the old NCHRP regime, which means that that Anchored Defender Barrier can give you the certainty of being able to perform when impacted by the bigger and heavier modern vehicle fleet. The system is designed to be simple to install. 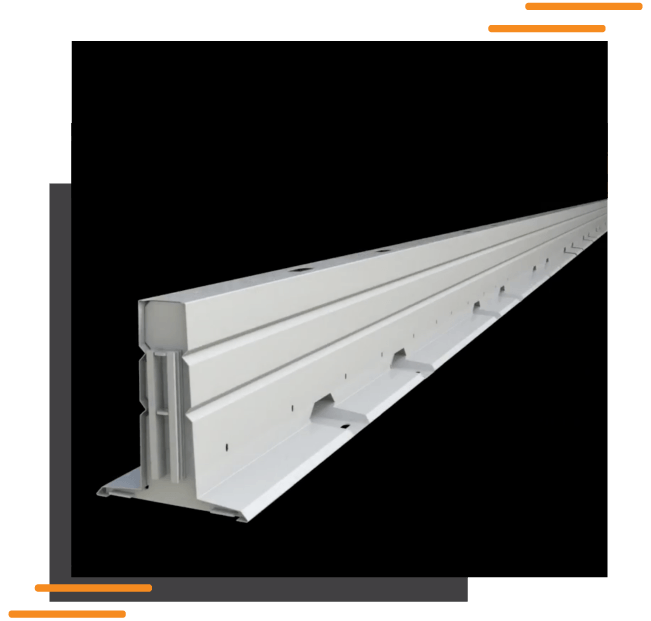 If your site requires low deflection because of tight work space, the system is deployed as Defender 100 LDS, with the supplied pins installed at every second barrier. If you have room to move you can cut your installation costs by Ddeploying as 100 HC, by pinning every 12th barrier. 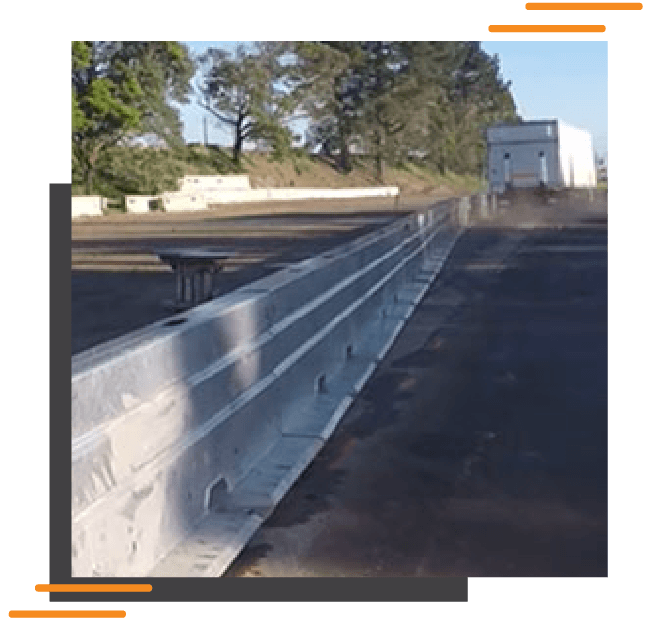 Unlike any other barrier on the market today Defender barriers has also been tested on a surface comprised only of AASHTO soil with no asphalt or seal to ensure that the system will still perform as expected. If you have this type of work zone contact Safe Barriers for Anchoring procedure to ensure your worker safety. Versatile, lightweight, easy to use and long lasting, the Anchored Defender Barrier ticks all the boxes for efficiently protecting any work site. MASH tested temporary barriers will soon become mandatory on any work site. Our Anchored Defender Barrier has been tested and found compliant. and certainty when deployed in your work zone. Accepted for use in Australia, New Zealand and the USA. In need of more information? In our download center you will find the following information.